Recognized by UNESCO as World Heritage Site since 2001, Douro Region is the oldest Wine Demarcated Region in the world, stretching through an area of more than 40 000 hectares. In a 3-day wine tour you will have the opportunity to visit some of the finest Wineries in the heart of the Douro Valley. Wne Tourism in Portugal will take you to visit this magnificent region. Your first visit will be at Quinta De La Rosa Winery, where it is produced the wine that is provided to some of the most important Restaurants and Retailers all over the world. The vineyard of Quinta de La Rosa spreads along the banks of the Douro River and rises to an altitude of 400 meters. There are 11 separate vineyards, some of them located along the banks of the Douro River while others are set at an altitude of 400 meters. In here you will have a guided tour and wine tasting. Check in at Quinta de La Rosa Wine Hotel. Quinta de La Rosa was built in an unusual location, on a hill with steep stairs that connect the different levels besides the Douro River. The Bergqvist family has been making Port wine since 1815. The Quinta de La Rosa estate was offered as baptism gift to Claire Feuheerd, Sophia's grandmother, in 1906. This is a family-owned wine producer's estate that offers its guests the opportunity to enjoy and relax in a unique atmosphere. The Wine Hotel offers an eclectic range of accommodation to suit your needs during your visit to the Douro. All its 14 rooms have views of the Douro and pool access. Wake up to the beautiful landscape of the Douro Valley and recharge your batteries with a fantastic breakfast in the Hotel. Near the Hotel, you will discover Quinta do Bomfim. 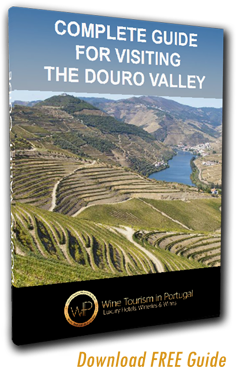 Located in the heart of the world’s oldest demarcated wine region, the Upper Douro Valley. The quinta is family-owned and the Symingtons have worked here for five generations. Visitors are able to appreciate the rich heritage of this vineyard whilst visiting the winery and the old wine cellar, or they may enjoy a walk through the vineyards. Tastings are available of family-made Ports and Douro DOC wines on the terrace with breathtaking views of the river and the surrounding vineyards. You will have a guided visit and a wine tasting. Within short walk distance, you will visit Quinta da Roêda. CROFT PORT is one of the most distinguished of all Port houses. Founded in 1588, it is the oldest firm still active today as a Port wine producer. The company is renowned above all for its Vintage Ports as well as for its range of wood aged reserves and tawnies, time-honoured styles refined by skill and experience passed down the generations. But in spite of its rich heritage and history spanning over four centuries, Croft has never been constrained by tradition. Today, as in the past, it maintains a pioneering spirit, continuing to create innovative new styles such as Croft Pink, the first ever rosé Port. Guided tour in the vineyard and traditional lagares, tasting of PINK, Reserva and Tawny 10 year and roasted almonds. After the wine experiences, you will enjoy dinner at Cozinha da Clara Restaurant. With fabulous views over the river, Quinta de la Rosa's Restaurant was opened in the summer of 2017. Named after Clara’s grandmother whose love of food and entertainment was legendary, the restaurant is called "cozinha da clara", literally meaning claire's kitchen. The executive chef is pedro cardoso. We suggest a self-guided visit to Pinhão. Then, you will have a Douro River Cruise in a Rabelo Boat. Aboard the rabelo boat live moments of intimacy with the nature while you travel with emotion along the history until the times when the rabelos boats moved by the force of the sails. Feel like a true sailor, an integral part of the vessel in a unique environment. In a 2h experience, be amazed by the scenarios that Douro has to offer on a two-hour cruise. "Just fantastic ! the staff is very nice and welcome. I love the fact that we were only about 4 people visiting. It's much better with a small group. The Douro valley is just amazing and I really recommend this trip !! I will definitely come back !! Thanks for everything !" 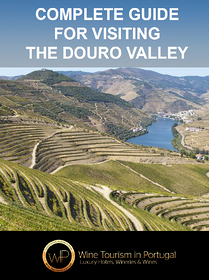 "It was a great day trip to Douro Valley and we really enjoyed it. Francisco was so professional, educated and informative. Thank you so much for this memorable trip and learning about the places you want to come back. We will highly recommend your tours to our friends."